Cleanrooms are used in industries where small particles can adversely affect the manufacturing process, thus deteriorating quality of the material in process. Clean rooms vary in size,complexity & structure and has wider applications in industries like Semiconductor Manufacturing, Pharmaceuticals,i.e. Biotech, Medical Devices, Surgical Devices,and Life Sciences, as well as in critical manufacturing processes. Clean rooms are designed in such a way that particulate contamination gets reduced and to control environmental factors like Temperature, Relative Humidity & Pressure Difference. HEPA Filters i.e. High Efficiency Particulate Air which trap particles which are 0.3 micron and larger in size. ULPA Filters i.e. Ultra Low Particulate Air Filters are used where stringent cleanliness conditions are required. 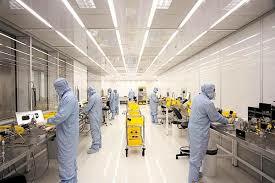 People who work in cleanrooms undergo extensive training to maintain the cleaning standards. They enter and exit the cleanroom through by wearing special clothes designed to trap contaminants which are shed by the bodies of people working in the clean rooms. Depending on the complexity & classification of clean room, clean room clothing could be as extensive as fully covered in multiple layered dresses with self contained breathing apparatus. Cleanroom clothing is used to prevent microbes, particles from being released off the wearer’s body and contaminating the environment. 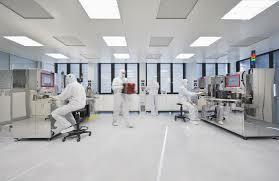 The cleanroom clothing must not release any kind of particles or fibers to prevent contamination of the environment. So much so is the importance of clean room clothing, that in case if the same is not being maintain, it can certainly degrade the performance of semi conductors and can lead to cross infection between pateints and healthy people in Pharmaceuticals or Medical Industries.